The Ariva-S delivers what you want – complete accuracy along with reliable and durable performance. This scale connects to most point-of-sale systems for checkout applications, and to personal computers for many other applications that require weight data. Available as a countertop model or with the option to build into the counter, the Ariva-S has a robust cast aluminum housing and stainless steel platter, enabling it to meet even the toughest requirements of day-to-day operation at the cash register. 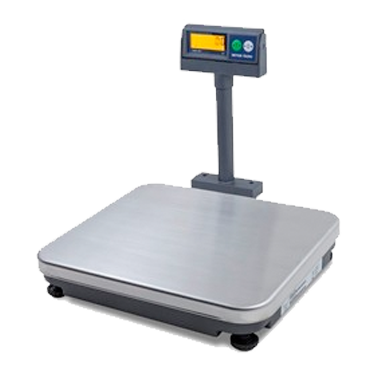 The Ariva-S dual interval scale is the ideal solution for retailers who require both a high capacity, up to 30 lb / 15 kg, and a fine weight resolution for light goods. Temperature range 14°F - 104°F (-10°C - +40°C), 0-85% humidity, non-condensing.